It’s crazy to think about how many hours I’ve spent over the last three years researching Black women’s relationships with their hair – and society’s relationship with us. As a doctoral candidate in sociology, I’m writing my dissertation on race, gender, and beauty politics. More specifically, I’m examining how Black women negotiate a politicized trend of “going natural” (a.k.a. giving up chemical relaxers) while managing the expectations of employers, family members, and romantic partners. While my research is anchored in academia, my life is my field site. I transitioned from chemical relaxers back to my natural hair six years ago, so it should come as no surprise that my work often follows me home. Casual conversations with Black friends frequently turn into informal interviews. We talk about the exhilarating experience of “big chopping” (cutting off any remaining relaxed hair during the transitioning process). 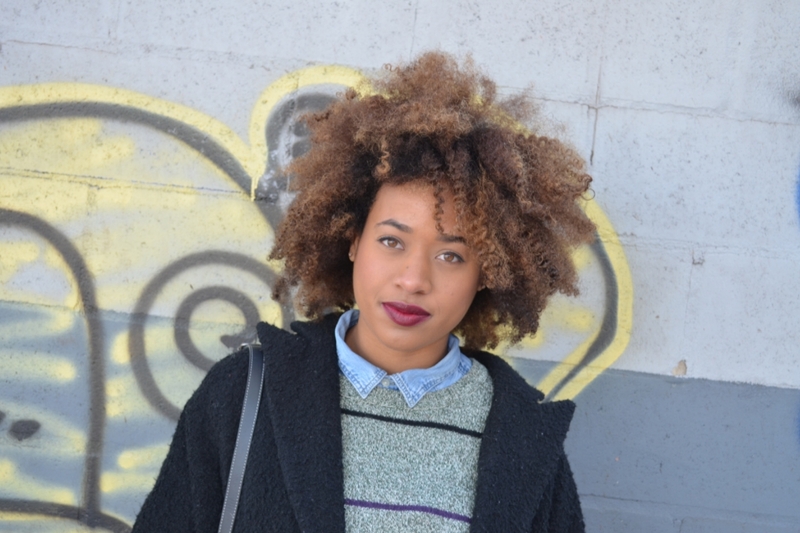 I listen to women discuss dealing with coworkers who’ve called their natural hair “wild,” “ugly,” “masculine,” or “unprofessional.” We’re all well aware of the pressures to conform to Eurocentric beauty ideals: Look a certain way and you’ll have a better shot at getting this job or that boyfriend. But try explaining that to a bunch of academics. In academia, my conversations rarely start with a basic level of understanding about why studying Black women’s hair matters. And that’s maybe not all that surprising given that, during my first two years of grad school, I was the only Black PhD student I knew of in any social science graduate program at my university. Even sociologists can’t escape the effects of a society that privileges men, wealth, and Whiteness. That means that a large part of my graduate work involves convincing administrators, grant committees, and editorial reviewers that studying Black women’s hair matters (in a sense, it’s part of many PhD students’ jobs to convince others that their research merits institutional investments). When I submit a proposal or choose a theoretical framework for my dissertation, I can’t afford for others to not understand this aspect of Black women’s experiences. My funding and career trajectory depend on it. After many rounds of fellowship applications, awkward small talk at parties, and helpful exchanges with other feminist writers of color, I’ve developed some strategies to help bridge the divide that a patriarchal, capitalist, and racialized world sometimes creates. Here are five ways to get people to begin to understand and take interest in your work, even when the subject isn’t something others necessarily have much vested interest in. It doesn’t have to be about hair. 1. Focus on the bigger picture. If you want people to understand your work, start from the top-down, highlighting large-scale social structures and processes. Think: Class, globalization, trade. I’ve found that speaking in these terms makes it easier for others to understand the broader implications of my work. I cite the global billion-dollar beauty industry’s white-washing of Black women's hair as one example of how problematic cultural representations are used to to sell goods and services. Some may not grasp the emotional toll microaggressions on a woman’s hair can take, but they can understand big money. Researching the meanings of cultural ideas about Black women’s hair can seem specific and narrow. People have asked me, “Why is Black hair worth intellectual study?” That’s when I point to the symbolic value of hair across time, place, and culture. Critics might be familiar with head-covering practices among Orthodox Jewish and Muslim women, the historical relationship between power and wig-wearing in court, or the symbolism of hair for punks, goths, and hippies. Everyone is familiar with at least one personal and cultural hair history, and tapping into that tends to facilitate better cross-cultural understanding. 3. Show the real impact. It may be easy for others to brush off your passion as trivial, and that’s likely because they don’t know the real impact it can have. To get across the point that conventional Black hair practices can have serious consequences, I cite speeches by former surgeon general Regina Benjamin in which she acknowledges that hair maintenance deters many Black women from exercising, thus increasing the risk of chronic conditions like diabetes and heart disease (the slightest moisture from sweat can ruin straight hairstyles). Chemical relaxers can scar the scalp and have been linked to uterine fibroids, while extensions may lead to hair loss over time. Discussing the relationships between Black hair and public health helps make the implications of my work more concrete. 4. Stand on the shoulders of others. A moment ago, I name-dropped Dr. Regina Benjamin – a physician who President Obama named to the highest office of the U.S. Public Health Service Commissioned Corps. Did that make you trust me more? Probably. References to specific people or offices with academic authority and gravitas can add to your credibility. 5. Keep the conversation going. If you’ve struggled to explain the importance of something to those who navigate a different reality or see the world from a different lens than you do, I feel your pain. But don’t give up. It’s critical to your advancement that you learn how to communicate with those who don’t share your experiences. Your work is bigger than you, so be prepared to share it with a wider audience. Only then can you begin to have the impact you desire.